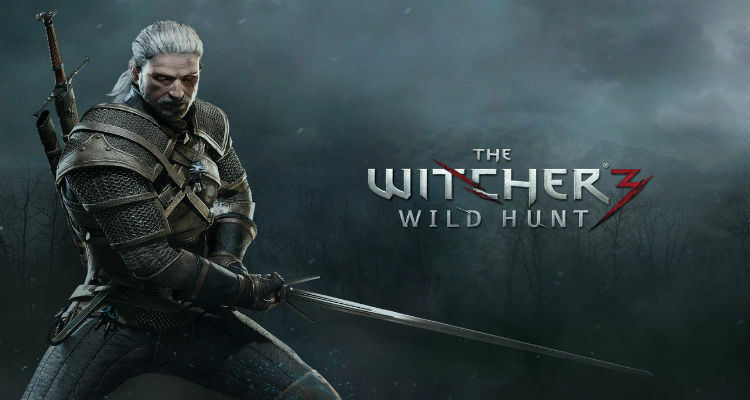 Geralt returns in The Witcher 3: Wild Hunt as he embarks on a quest to discover a girl of prophecy who doubles as an extremely dangerous and explosive weapon with Elder Blood flowing through her that has the possibility of bringing everything to an end. The trailer depicts a beautiful world full of trees and farms and hanged men. There are a number of emotional character moments from a young girl coming out of what appears to be a teleportation spell struggling to make her way down the road to Geralt training a young Witcher to him making love with eyes aglow. The action is kept to a minimum although it does ramp up towards the middle as fire rains down from the sky onto a harbor, the teleporter erupts in some kind of psychic scream, and a boat crashes against the cliffs. There are a number of interesting characters throughout the trailer including a lordly figure overlooking what appears to be the Witcher’s version of chess, a man with a monocle, a beautiful redhead in the arms of Geralt, and a demonic figure encased in skeleton plated armor. One thing is for sure this game looks epic in scope! The Witcher 3: Wild Hunt from CD Projekt Red hits stores May 19th, 2015. Witcher Author Andrzej Sapkowski Demands Millions in Compensation from CD Projekt Red!